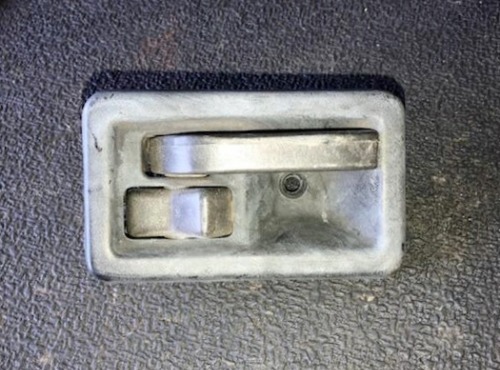 Here is an interior passenger side door handle. This was removed from a 1994 YJ. It fits 87-95 Wrangler YJ. It's in fair condition, has some scratches, but is fully functional. Mopar part number is 55029578. This may fit other models or years, please check your application. Used parts are expected to have some wear, surface rust, scratches, etc. Be sure to check out the pictures!